Spring is here. Gardens are being prepared for seed. For us, the work of planting in a garden carries with it some significant spiritual realities! In Luke, Chapter 8, Jesus tells his famous parable of the Sower. The seed being sown is the Gospel and we, as His Church, are now sowers of that seed. We are planters. 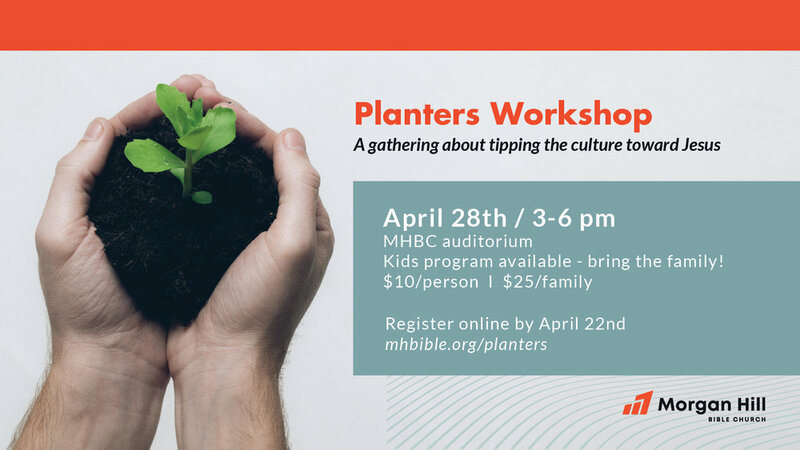 Our call, here and now is to participate with God in planting for His Kingdom and tipping the culture toward Jesus. Learn how to lead a Bible study with anyone as soon as THIS week! Find a tangible path to be able to trust God and be courageous. Become more equipped and motivated to study the Bible on your own or in a small group. Dinner and limited childcare provided. If you are bringing you family, please register EACH person attending, including each child needing childcare.